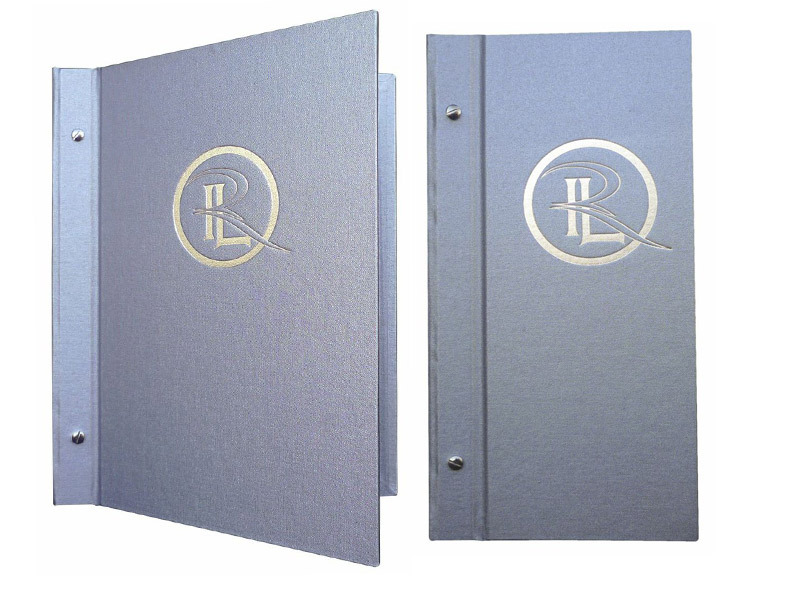 This fantastic new range of external menus covers feature a strong buckram material that is textured durable cloth. Buckram is textured durable cloth that has proven over time to stand up to the busiest hospitality environment. 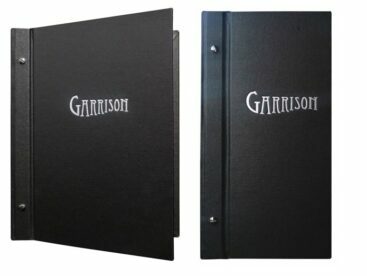 Each menu cover can be personalized with blocking so you can have your logo on your new custom restaurant menu covers. 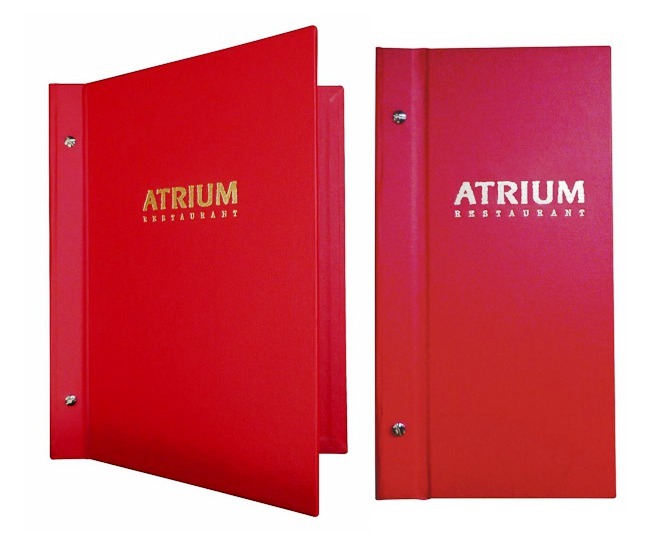 A key feature of this restaurant menu cover is the use of interscrews they join the front and back cover and any number of pages or PVC pockets. .The interscrew actually become a feature of the front cover. 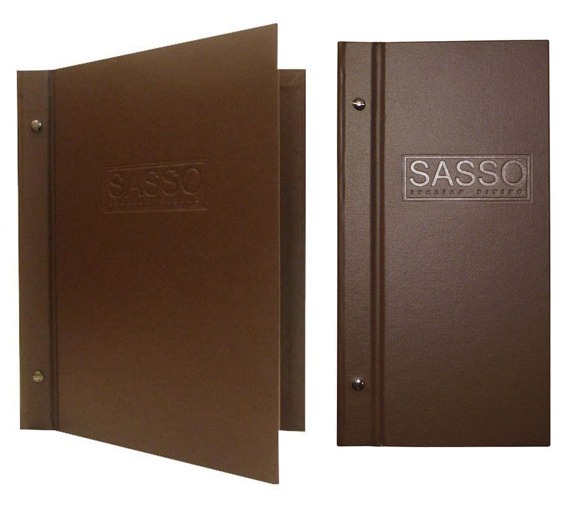 The external interscrew menu cover makes changing your menu or wine list out easy and you can print your menus in house saving additional time and money. Samples are free with the exception of cost of shipping. SKU: PBEXT sample. Category: Samples. Tag: productSample.